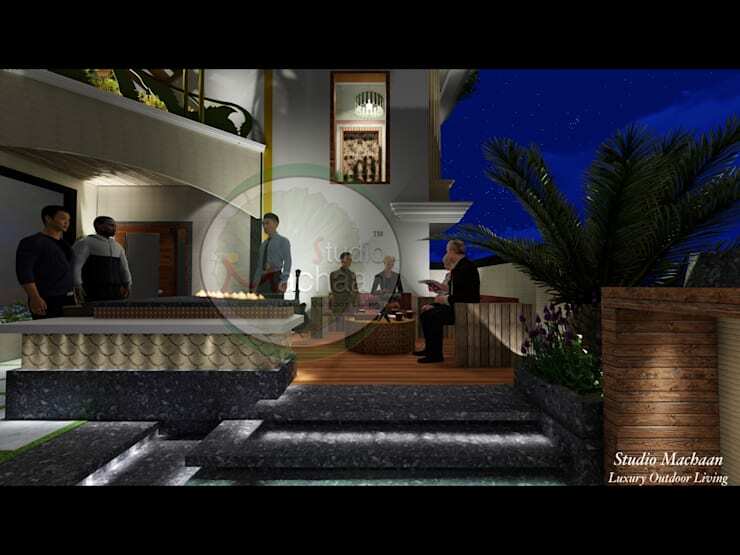 Studio Machaan is a group of terrace garden designers in Delhi which offers terrace garden design service from conceptualisation, designing and execution. Raised outdoor wooden deck with steps leading to an outdoor sitting for a comfortable terrace sit-out. Outdoor Lighting is provided in the form of cove lights highlighting the Stairs and also provided as an aesthetic design element. Enhance the utility of your Terrace with Studio Machaan. We are available on WhatsApp 24 x 7 @ 9999256689.